Pick up self drive rental car on arrival and drive to the hotel. Self drive from Auckland / Waitomo through the lush Waikato region. View world famous Glow-worm caves. Continue on to Rotorua. Indian Dinner at a local Indian Restaurant. Sudima Lake Rotorua Hotel x 02 nights. AM Rotorua sightseeing including Whakarewarewa Thermal Reserve, [Te Puia], Rainbow Springs, and Agrodome agricultural show by self drive. Self drive from hotel to Rotorua Airport. Drop off rental car and check in. Pick up self drive rental car on arrival at Christchurch Airport. Drive to hotel. Remainder of the day is at leisure for Optional activities with rental car. Optional Indian Dinner at a local Indian Restaurant. Camelot Cathedral Square Hotel x 01 night. Self drive from hotel to the West Coast via the scenic Arthur's Pass. Cross over the Southern Alps to Greymouth and on south to Franz Josef. Remainder of the day is at leisure for Optional activities with rental car. Indian Dinner at a local Indian Restaurant. Scenic Franz Josef Glacier (Graham Wing) x 01 night. Scenic Franz Josef Glacier (Douglas Wing) x 01 night. Te Waionui Rainforest Retreat (Deluxe) x 01 night. "Alpine Adventure Resort" of Queenstown. Heartland Queenstown Hotel x 03 nights. Scenic Suites Queenstown x 03 nights. 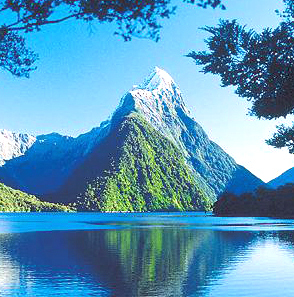 Enjoy full day self drive to the world famous Milford Sound including cruise. Jetboating, cruise on Lake Wakatipu, visit a sheep station, take a gondola up to the top of Bob's Peak and the Skyline Restaurant for a magnificent view. Drive through the Kawarau Gorge to Cromwell and on through Central Otago. The rest of the day is at leisure to explore Dunedin with self drive rental car. AM self drive orientation tour of Dunedin with opportunity to view Otago	University, historic buildings, the world's steepest street and botanic gardens. PM self drive sightseeing to the beautiful Otago Peninsula with an opportunity to visit Larnach Castle grounds and to view local wildlife at the Royal Albatross Centre & Yellow-eyed penguins, Blue penguins, seals. 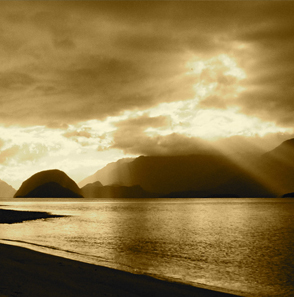 Depart Dunedin & self drive to Mount Cook via Oamaru and Waitaki Valley by rental car. Continue via Lake Tekapo to the "Garden City" of Christchurch. Self drive from hotel to Christchurch Airport and drop off rental car. 1 Adult Passengers: Please add INR 14,900.00 per person to the above costs. 2 Adult Passengers: Please add INR 14,900.00 per person to the above costs. 3 Adult Passengers : Please add INR 14,900.00 per person to the above costs. Accommodation as per itinerary or similar of same standard. Meals as outlined on table d'hote basis - cooked breakfast + dinner daily. Indian dinners at local Indian restaurants provided in Auckland, Rotorua, Christchurch, Dunedin, Queenstown, Te Anau & Franz Josef. European style dinners provided at clients hotel in other destinations. Entry fees as per itinerary. 01 - 03 PAX: Self drive rental car based on using a Mitsubishi Lancer or similar for the duration of the itinerary, including unlimited kilometres, insurance subject to excess, & GST. Rental car is included with pick-up at airport on arrival and drop off at airport on departure. 12.5% Goods & Services Tax. Petrol, Oil & Lubricants for rental car. Pre-registration or late check-out of rooms. Personal items + meals + any other items not outlined in itinerary. 1. NAMES as in the passport . 2. ANY SPECIAL MEAL REQUIREMENTS - E.G.JAINS VEGETARIANS. 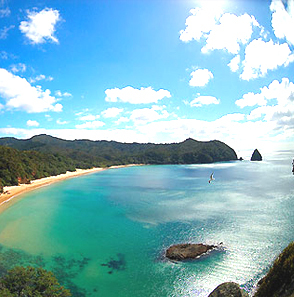 Is required to be sent to our suppliers at least 30 days prior to arrival into New Zealand. Quoted: Nett in New Zealand Dollars including 12.5% GST Tax. Personal accident insurance is also included in this package. This is to be paid directly to Budget Rent a Car at the commencement of hire. All rentals require NZD150.00 security bond to be paid at the commencement of hire. A charge of NZD28.00 + GST [$31.50] will apply to hires commencing at all airport locations and ferry terminals. This is to be paid directly to Budget Rent a Car at the commencement of hire. This is paid only once per rental. One Way Rentals: A minimum of 3 consecutive days are required. Multi-Island Rentals: A minimum of 3 consecutive days are required on each island. Vehicle Type: Makes & models are not guaranteed and may vary.